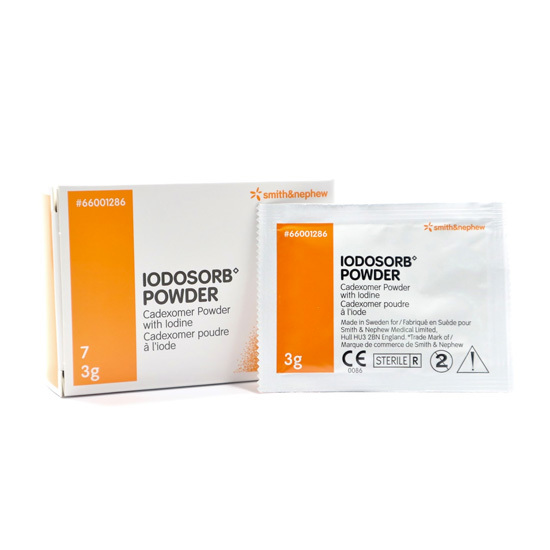 Iodosorb powder is a sterile dark brown powder, formulation of acute cadexomer iodine. When applied to the wound, it cleans it by absorbing fluids, removing pus and debris and forming a moist gel over the wound surface. As Iodosorb swells in situ the active iodine is released, killing resident micro-organisms in the wound site and changing colour.